Who Needs Artificial Sweetener Aspartame Secretly Placed in Their Kid's Milk? Have you heard the latest? 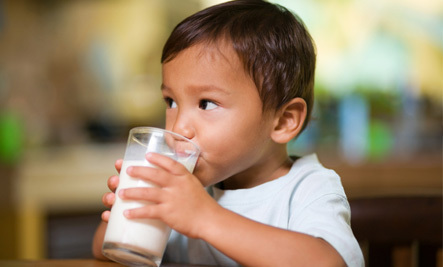 It seems that the the International Dairy Foods Association (IDFA) and the National Milk Producers Federation (NMPF) have filed a petition requesting that the Food and Drug Association (FDA) amend the standard of identity for milk and 17 other dairy products to provide for the use the artificial sweetener aspartame as an optional ingredient - without labeling it on the drinks. As you might recall, I am no fan of aspartame and I am appalled that the IDFA and NMPF would even try to put this in front of consumers. Aspartame has a long history of detrimental health problems and neurological implications and the FDA knows this but they continue to allow it on the market. Are you with me that we must not let them put it into our kid's milk? Please make your feelings known on the FDA website as well as by signing a petiition stating that you do not agree with aspartame being added to milk. We have control. Don't relinquish it unless you want your kids sucking down the artificial sweetener aspartame with their unlabeled chocolate milk.